Hi my name is Gentoo! I've recently been returned to SaveABunny because my family lost their home in the devastating wildfires in North Bay. I'm originally from Moreland (Moreland Rescue). I've had a rough life and would really like to find someone to love me in my twilight years. I've lost two mates and I'm lonely and I miss my friends and my family. I'm very calm and easy to handle, and I love head pets! 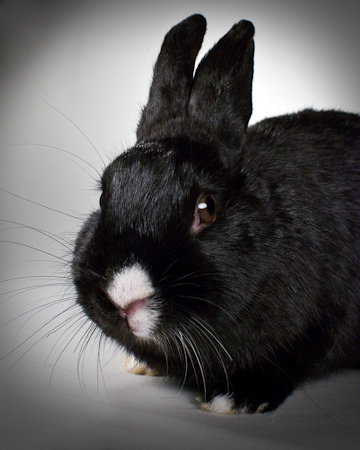 I'm a senior bunny, and not as agile as I used to me, so I'm looking for a human who is ready to love me, wobbles and all. Please come visit me! Hi my name is Gentoo!